Can video kill the email star? 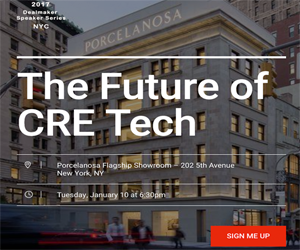 How can we, as a small group of progressive tech aficionados, convince the mainstream commercial real estate broker that there are more effective methods to marketing a property than mass email. In other words, how can we use new technology to kill off the old? 1. It is effectively free. Brokers love free stuff, largely because they don't get paid until they close a deal, so any money they invest in marketing on the front end, they risk never getting back. 2a. Brokers love vanity metrics. I was a broker for years. Every pitch we created included some metric which showed we were better than the competition using a vanity metric. For instance, who hasn't said: "Our firm has 500 office and 3,000 brokers" or "I have a database of 30,000 investors", at the same time knowing neither was going to be the reason the property gets leased or sold. 2b. Email is chock-full of vanity metrics. Once they have the listing, it is time to do weekly client reporting. It feels impressive to be able to tell a client, "I've sent your property directly to every broker in the city" or "Your property's email was opened 1,523 times. This is real exposure!" I have to admit I included these metrics in my reports for years. It made me feel like was was able to document all the work I was doing for my client. 3. Others you can think of? Add yours in the comments. So, now that we understand why brokers do it, how do we convince them mass email marketing is 1) at least unproductive, or 2) actually counterproductive. I am not sure this will ever be possible. Why? See reasons 1, 2 ,3 above. If convincing brokers is out of the question, what is the alternative? Educate the broker's clients: property owners. By educating property owners who enlist the services of these brokers, these owners can hold brokers accountable. For instance, the number people who get an email or the of times an email gets opened doesn't mean a darn thing. Ever. When marketing a for lease or sale commercial property, what matters? Interest. Interest in your property is never correlated to the number of email opens. Brokers can simply game the metric by spamming a larger list. A larger list = more opens. Instead, interest is most often directly correlated to 1) property tours 2) bids or requests for proposals. So, as a property owner, the next time a broker begins to brag about the size of his or her email list, ask them about their average number of tours or offers on a deal. If they don't know, don't hire them. In this fashion, we can use natural selection to weed out the industry's worst offenders; they'll have to get another job. This isn't just a rant on brokers being cheap or lazy. Many are extremely hardworking professionals who go to great lengths to market properties and close deals. Having done it myself, I respect anyone who goes to work everyday and only eats what they kill. Brokers are the company's producers, and they are under enormous pressure to perform day-in and day-out. The goal here is to solve the issue, not point fingers. Use Virtual Tours. Utilize more interactive marketing pieces like Flyer.io or virtual tour resources like View The Space. I have absolutely no idea why Loopnet hasn't provided the ability to embed videos (they eluded to a video feature on September 2012, but I haven't heard anything since...). 2. Copy and paste the link as required. Don't forget to name it something fancy, too. 3. Turn your video tours into a lead generation source. Once your video is uploaded to Wistia, all you have to do is embed the URL to the Wistia video on your Loopnet listing and voilà, you're turnstiling with the best of them. Best of all, your first 3 videos are free! Okay, so, anyone seeing the irony here? I just recommended a solution to the CRE email problem, which still involves email. Before anyone points this out, allow me to clarify something. We can all agree email is not going away anytime soon. It will remain a critical element of anyone's business approach. The difference here is that the email piece of this solution is opt-in not opt-out.